In the refrigerated section at outlets of Taiwan’s two major convenience store chains, customers can now find an array of eye-catching novel milk beverages that are supposed to taste like the popular snacks that inspired them: 77 Chocolates strawberry nougat bars, Want Want ball cakes, Chi Mei red bean ice cream bars and 77 Chocolates New Life Style strawberry wafers. Some customers might be wondering whether these products have been put on the wrong shelf. The answer is, of course, that they have not. These liquid snacks are the brainchild of convenience stores executives who realized that drinks featuring the flavors of time-tested, successful snack foods boost sales and reach new target groups. FamilyMart last year released six beverages in cooperation with five food brands, using limited edition/seasonal offer marketing tactics. Surprisingly, the novel products sold like hot cakes. The first batch of 200,000 cartons of a coconut-flavored milk beverage modeled after the popular Kuai Kuai puffed corn snack sold out in just two weeks. To understand the origin of the snack food-flavored beverage drink campaign, we need to go back to late 2017. Back then, Wu Ya-ching, head of the product department at FamilyMart, was agonizing over the annual business plan for the coming year. She felt tremendous pressure to boost sales, particularly in the area of established, traditional brands and mature product lines such as snack foods. “Kuai Kaui, for instance, had released several new flavors in collaboration with other snack brands, but the consumers were not that excited about them. The flavors that are always selling well are five spice and coconut, so in terms of sales, a breakthrough seemed very difficult,” says Wu. As Wu looked at a bag of Kuai Kuai, she wondered how the cute mascot who sports two large front teeth and wears a blue floppy hat would look on a drink carton. Would consumers become curious? 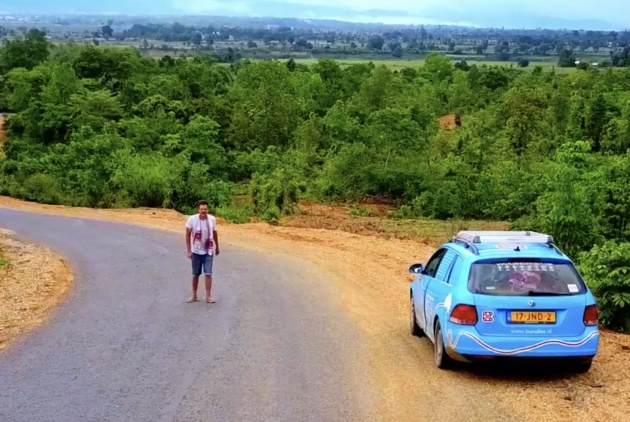 Fortunately, Wu had her inspiration just as Kuai Kuai General Manager Chao Ming, who has meanwhile left the company to serve as general manager at dairy farm Chulu Ranch, was aggressively pushing a rebranding campaign. He had collaborated with chip foundry Taiwan Semiconductor Manufacturing Company and dried meat jerky manufacturer Kuaiche on cross-marketing campaigns, and had also released regional flavors. Chao thought that a Kuai Kuai drink made an interesting proposition, so he readily promised cooperation, which led to the birth of the first snack-turned-drink – Kuai Kuai coconut flavored milk. After the new product hit the stores, the projected quantity for one month was sold in a week. The entire limited offer of 200,000 cartons was gone in just two weeks. When the product was still in the development stage, FamilyMart staff was test-drinking peanut-flavored and coconut-flavored versions. Much to their surprise, they found that their peanut-flavored version tasted almost like Chung Hwa brand peanut soybean pudding. Therefore, FamilyMart joined hands with Chung Hwa Food Industrial Co. Ltd., creating the second drinkable snack – peanut soybean pudding milk. Having bagged two successful product launches, Wu became more adventurous, encouraging her procurement staff to unleash their creativity and develop product ideas based on their observations of consumer behavior. Soon, a staff member discovered that children liked to dip or soak their Want Want ball cakes in milk. So FamilyMart suggested that Want Want Holdings Limited pair the ball cakes with a cup of milk, similar to the cornflakes-milk combos that are on the market. On top of that, the cartoon character on the milk cups would sport clothing patterned like a black-and-white dairy cow to make the product more appealing to kids. Wu explains that the brands currently developing novel beverages in cooperation with FamilyMart are longtime suppliers who are well acquainted with the convenience store chain. “Our overtures have been rejected by international brands. 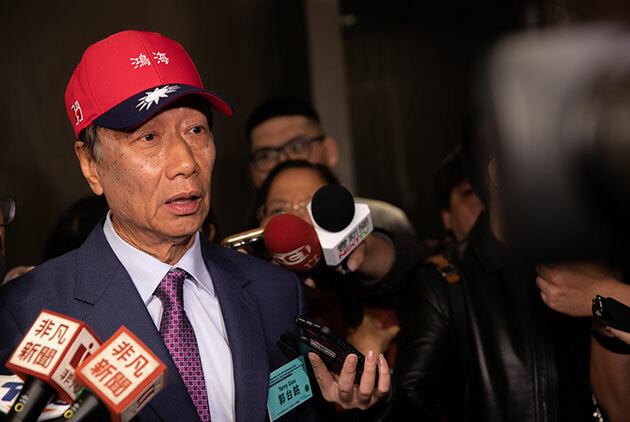 [With them] it is more difficult to realize [such projects] because authorization from headquarters is required, and reconfirming every step is quite complex,” says Wu. As a sales channel, FamilyMart has no beverage production capacity, nor do most of its cross-marketing partners. 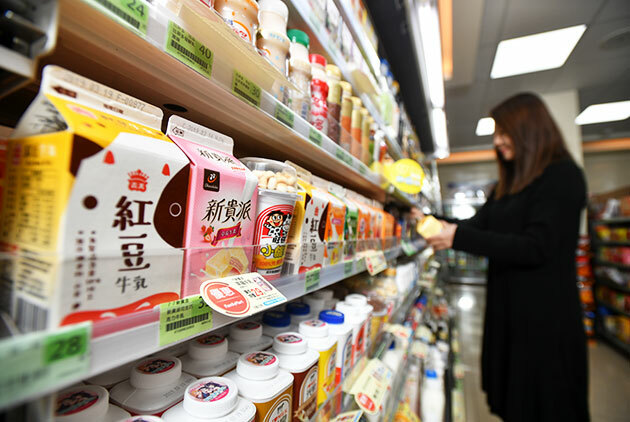 The convenience store chain was only able to get so many new products to market because its major shareholder Kuang Chuan Dairy Co. Ltd. pitched in as contract manufacturer. 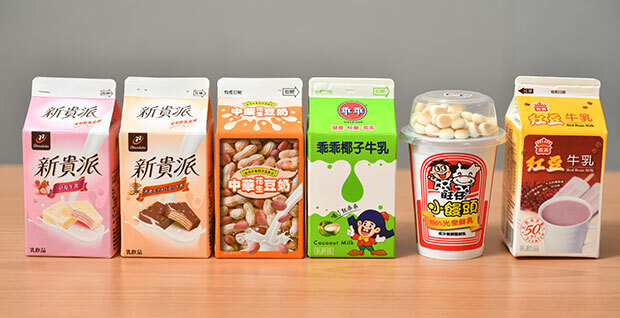 FamilyMart has a longstanding cooperation with Kuang Chuan for its own brand FamilyMart Collection (FMC) products such as flavored milk and coffee. Since FamilyMart had already collaborated with Kuang Chuan and Lian Hwa Foods Corporation in 2014 to develop the Viva nut powder health drinks, Kuang Chuan was no stranger to three-way collaboration. 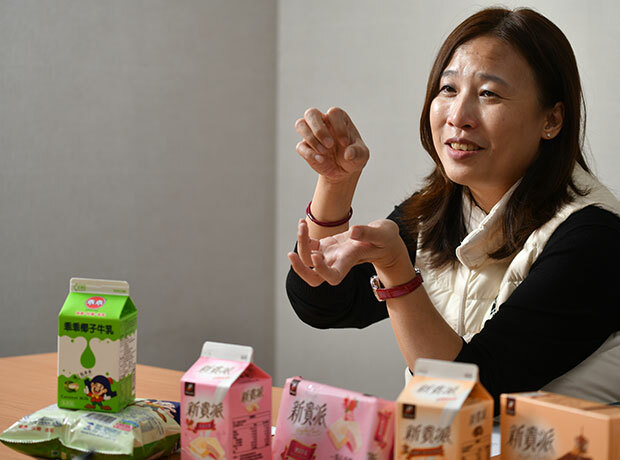 Shih Chun-hsuan, marketing manager with Hunya Foods brand 77 Chocolates, says her company did not provide Kuang Chuan with the raw materials for a drink with the flavor of New Life Style wafers. Instead, the Kuang Chuan team concocted a beverage that emulates the wafers’ flavor. Lee Tsai-tsung, head of Kuang Chuan’s contract manufacturing department, explains that the recipe for a solid snack food is not necessarily usable when creating a drink with a similar flavor. The novel beverages are actually owed to the wealth of experience and data that Kuang Chuan’s R&D department accumulated over more than two decades. “The know-how to develop novel drinks results from constantly sampling the original product so that its style leaves a deep imprint in the developers’ hearts,” notes Lee. He hopes that when consumers drink the new beverage, they will immediately recall the impressions and memories associated with the original product. The product development team spent considerable time and effort on expressing the aroma of baked wafers in the drink and maintaining the slight tartness of the original product without affecting the drink’s stability. Before a new product hits the market, it needs to undergo rigorous testing for at least half a year. After repeated testing of the Want Want ball cake milk combo, the team decided to shrink the ball cakes by 20 percent to minimize collisions between them during filling. The smaller cake balls also seem to better suit consumers’ tastes. Surprisingly, when the novel drinks are marketed in a set with the original snack that inspired them, snack sales increase markedly. During such special campaigns, snack sales usually double on average, while sales of Kuai Kuai corn snacks can increase up to four-fold. “Never before have we registered such good sales,” says Wu. This is a marketing strategy rarely used by convenience store chains. According to Wu, special offer campaigns usually combine products that make up a typical meal, such as milk with bread. This time, however, the goal of the combo campaigns was making consumers sample the two products to compare whether they tasted alike. The concept of snack-turned-drinks actually already emerged in 2014. Back then, a milk drink flavored like 77 Chocolates chocolate did not create any buzz. Wu believes the more recently introduced products drew much more attention because their flavors are perceived as clashing with what most associate with a typical milk beverage. The farther away a flavor is from consumer expectations, the more likely a drink will generate consumer interest. Internet buzz is another key factor. Before social media became big, products were sitting on shelves waiting to be bought with customers noticing them only after setting foot in a store. When consumers discover an interesting product these days, they immediately take photographs and share them online, stirring curiosity and creating social media buzz about the product. Shih also discovered that consumers like novel products, and that short-lived hype about a novel drink can liven up a stale brand. “New Life Style is an established brand that has been in the market for more than 10 years and enjoys a certain level of support. But you still need news to trigger consumption; you need to attract young people with novel approaches,” says Shih. Taiwan’s leading convenience store chain 7-Eleven has also collaborated with 77 Chocolates, developing a strawberry nougat milk for release with the beginning of the strawberry season in Taiwan in February. Wu points out that, even though single purchase amounts are low at convenience stores, people make small purchases very frequently. Therefore, the novel drink lineup was mainly released not to boost sales and customer numbers but to continuously give customers a sense of novelty as well as to set FamilyMart apart from the competition. Designing such drinks requires deep knowledge that pairs collective childhood memories, little things making happy moments and a sense of novelty with manufacturing prowess. 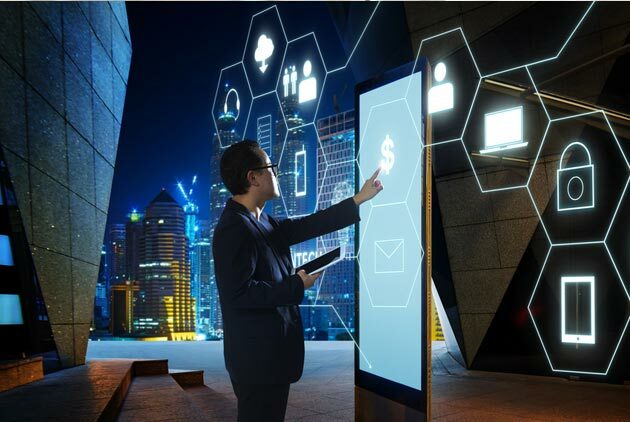 Winnie Lan, chief consulting officer at Dentsu Aegis Network Taiwan, thinks that such collaboration between convenience store chains and brands creates a win-win situation. The brands boost their revenue and brand strength. 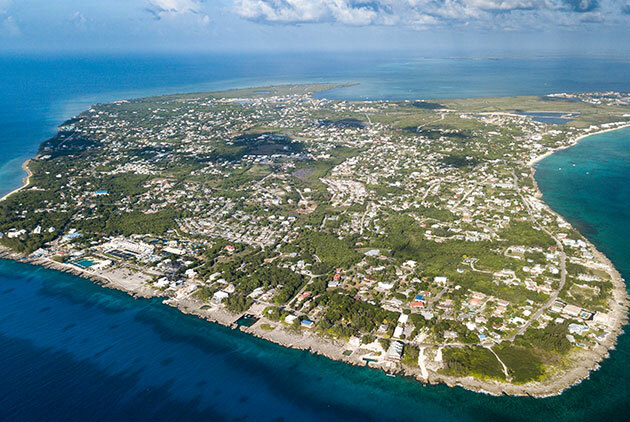 By branching out from the snack food sector to the beverage sector, they can reach new target groups while also cultivating a good relationship with the convenience store chains. “Convenience stores and brands need sales momentum and hot topics. As long as the brand is not hurt, anyone is willing to give it a try,” says Lan. Moreover, these brands all have long-selling products with stable customer bases and so do not require any advertising. 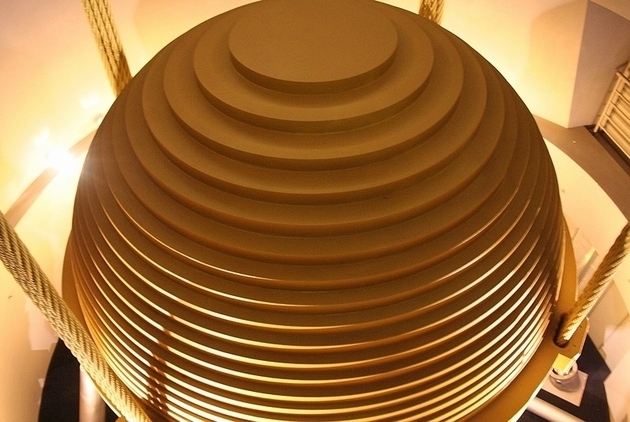 The brands themselves are strong enough, which also makes new product development less risky. “Food in particular means taste memory, and those tastes that consumers have eaten from childhood to adulthood will never lose popularity,” notes Lan.